The Wanaka A&P Show is gearing up for another successful year with the announcement of a spectacular entertainment lineup. 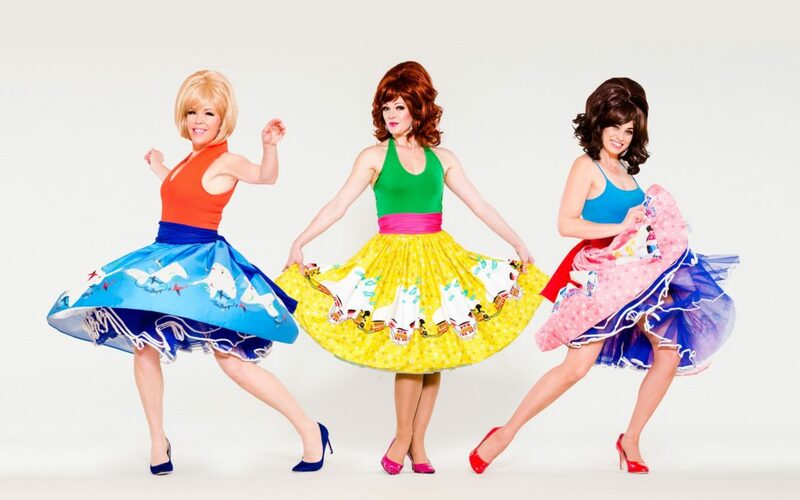 Wanaka-based ‘Queen of Country’ pop singer Jody Direen, captivating Kiwi magician Jonathan Usher and New Zealand’s favourite covers group The BeatGirls will perform on the Radio Wanaka main stage over both days of the two-day event, held March 8-9, 2019. Award-winning local folk singer Anna van Riel will also be performing tunes from her new interactive children’s album Fishing for Stars under the Kidz Shade Sail while Wanaka’s own celebrity chef Angelo Georgalli of TVNZ 1’s The Game Chef and Angelo’s Outdoor Kitchen will be sharing his tips and tricks for cooking superb salmon, rabbit and venison in the popular GJ Gardner Life & Style marquee. Also in the Life & Style marquee is local fashion stylist Trudi Miller, who will be sharing fashion tips and styling secrets. Coming to the Wanaka Show for the first time is a team of Clydesdale horses from Erewhon Station in Canterbury. In the Queenstown Lakes District for the Goldfields Cavalcade in early March, the Clydesdales will attend the Show on Friday, March 8 from 9-11am and Saturday, March 9, from noon onwards and the public will be able to go for rides in the cart. Wanaka Show coordinator Jane Stalker says entertainment is an integral part of the annual Show, which attracts 40,000 people from around the country. Traditional staples of the Wanaka Show entertainment programme – such as wood chopping and sheep shearing challenges, old-fashioned sheaf tossing and the world-famous Jack Russell race – also return this year, as well as 500 trade stalls, a vintage car display and of course the popular and not-to-be-missed livestock and equestrian competitions. The Wanaka A&P Show is held at the Wanaka Showgrounds on Ardmore Street. Gates open 8am on Friday 8 and Saturday 9 March and show-goers can avoid queues by purchasing earlybird tickets online at www.wanakashow.co.nz. Earlybird tickets are $15 per adult or $5 per youth (aged 13-17 years) for a one-day pass. Children aged 12 and under are free. The Wanaka A&P Show is one of New Zealand’s largest agricultural and pastoral events, attracting about 40,000 people and bringing more than $10.9 million worth of direct economic benefit to the local community each year. Run over two days and set on picturesque Showgrounds overlooking Lake Wanaka, the Show includes traditional features such as equestrian and livestock events, home industry displays, wool classing, wood chopping, shearing and more than 500 trade stalls from around the country. Celebrity chefs demonstrate their skills in the Life & Style marquee as part of the Show’s two-day entertainment lineup, and novelty activities include the famous Jack Russell race and old-fashioned sheaf tossing. Where town meets country, it’s the South Island’s premier lifestyle event. Country pop singer Jody Direen, covers group The BeatGirls, singer Anna van Riel and celebrity chef Angelo Georgalli are set to entertain the crowds at the 82nd Wanaka A&P Show on March 8-9. Click here to download images. An accomplished writer and editor, Rebecca has worked for NZ’s top-selling magazines and publications, and honed her PR communications skills in Melbourne. She brings extensive insider knowledge of NZ and international media, knows how to craft compelling copy, and can get your story or organisation noticed.